Joining the Grange was something I looked forward to in High School. I attended a Grange Fair annually, and loved the focus on nature, activities, and their community of men and women. Years later, at the same fair, a Granger asked, “Why don’t you join the Grange? So, I did! You have just learned why Karen Macdonald joined the Grange. This should be a lesson to all of us. Ask someone to join. They may have been waiting for just such an invitation. And, why are you waiting to enter this year’s Essay Contest. 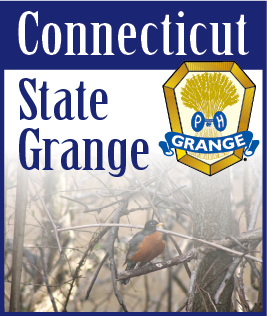 The title for this year is “What The Grange Means to Me…”. The limit is 100 words. ( I was just looking in the bluebook and it says 50 words. This is wrong. It is 100 words. They will be accepted either way.) Why not take the time today and jot down a few words. This contest comes complete with prize money at State Session. The deadline for entries is October 1st. Do you have any realistic looking Halloween costumes that we could borrow for Lecturer’s Conference? Our program is entitled “Let’s Celebrate Halloween”. Anything that you can let us borrow would sure be appreciated. Better yet, why not come to conference and wear the costume yourself. Bridgewater, Massachusetts isn’t that far away. My sincere thanks to everyone who has sent me cards the last few weeks. Not being allowed out of the house was a lot better than the hospital and rehab center, but I found myself going crazy with nothing to do. Actually, nothing I was allowed to do would be more like it. The cards were a wonderful diversion and very much appreciated. I have been set free with a lot of restrictions but at least I can get out and I can drive. By the time you read this, I will hopefully be able to go to more Grange meetings again and look forward to seeing you all around the State.